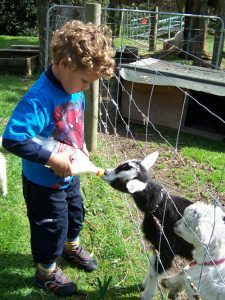 Friendly animals in a park setting with over 50 species of farmyard & domesticated animals, birds and reptiles. Hand feed the animals as you go round the farm trail (food available for $1 at the entrance). There’s also a trampoline, pirate ship and old fire truck for climbing on, a treehouse and swings along the way. The trail is buggy-friendly. Take a picnic and enjoy it at the picnic area, or cook up your own food on the BBQ. Explore the secret garden. TOP TIP: if it’s been raining, take your gumboots! If it’s raining or showery when you want to visit, it is still open – dress for the weather and dodge showers in the covered sheds. Address: 2414 SH25, Whitianga, Coromandel. For GPS you can also try 2414 Tairua-Whitianga Road, Coromandel. Prices: Adults $10, Kids $7 (1-15yrs), Family Pass $30 (2A & 2K).